Have a safe and healthy Halloween!!! OM Holistic Wellness provides Acupuncture, Oriental Medicine and massage therapy. We are conveniently located to the surrounding communities of Hallandale Beach, Golden Beach, Sunny Isles Beach, Surfside, Aventura, North Miami, Miami, Hollywood, Fort Lauderdale, Dania Beach, Pembroke Pines, Davie and Plantation. 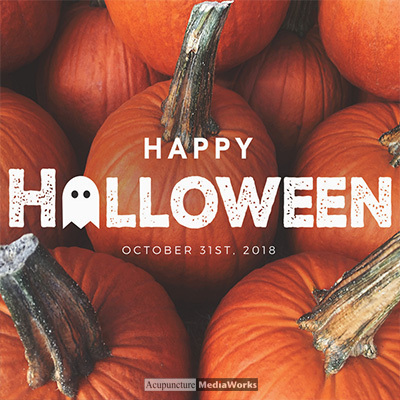 Posted in Blog | Also tagged acupuncture, appetite, appetite control, halloween, healthy, healthy eating, massage, overeating, sugar, sugar addiction, sweet tooth, treats, upset stomach Comments Off on Have a safe and healthy Halloween!!! Massage therapy has been around for centuries. The ancient texts of many languages, including Chinese, Indian, Greek and Egyptian mention it. While the exact roots of massage therapy are unknown, it is known that getting regular massages is beneficial for the recipients. Massage can treat everything from aches and pains, digestive issues, insomnia and more.